Spectacular One Story POOL Home in Gated Gentle Creek Place. Sprawling 4, 717 sqft. 5 bedroom, 4 bath home, extensive hardwood floors throughout home, stone fireplace, gourmet kitchen with oak beamed cathedral ceiling, gas cooktop, dbl ovens. Spacious master bedroom with spa bath, separate vanities, garden tub. Large secondary bedrooms with walk-in closets & extended ceiling heights. Huge office, media room & game room. Surround sound. Outdoor Oasis with a covered patio, outdoor kitchen, fireplace, pool and spa. Beautiful .459 acre private lot with mature trees. 3 car garage. Energy Star Certified home. No detail overlooked in this amazing home! 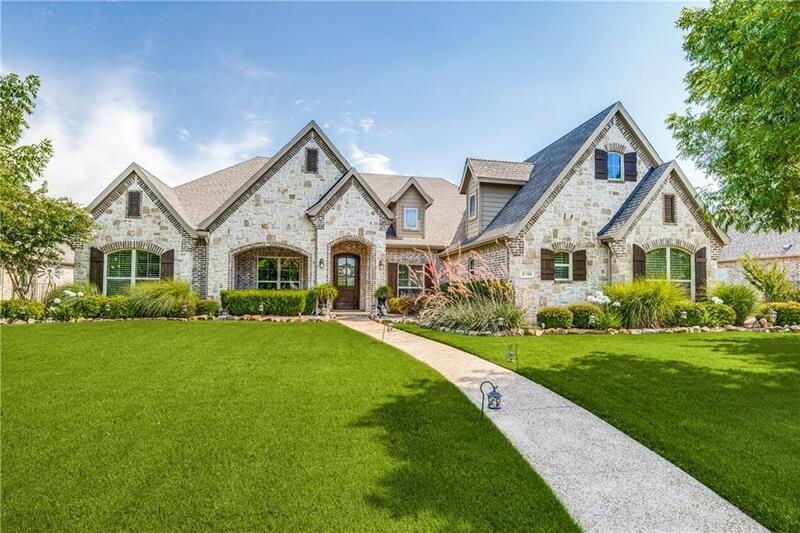 Golf Course community, Prosper ISD and Move-in Ready.